Peridot is the birthstone for people born in August. These electrically anodized titanium earrings resembles the color of peridot stones. They are extremely light in weight and very comfortable to wear. Made from pure titanium, these earrings are also hypoallergenic. 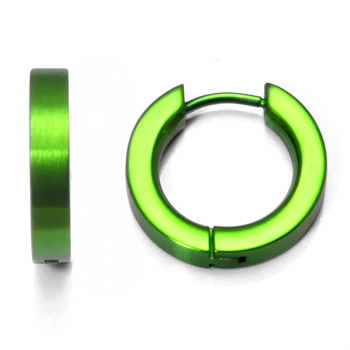 Since anodization is not a plating or addition of material to the jewelry, but only change how the titanium reflects light, it maintains its hypoallergenity. Titanium is the only metal in the jewelry industry that can give such exciting variety of colors, it is really a like a breath of fresh air.